This SIGNATURE ANNUAL event brings together corporate practitioner attendees from all over the world for a luncheon filled with education, networking and fun and marks the start of GEO's Annual Conference. 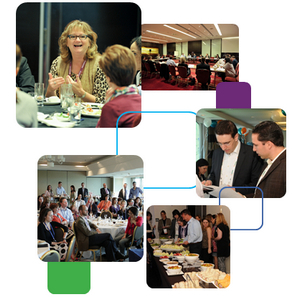 Make this event part of your Annual Conference experience! The theme for this year's luncheon is, "Payroll Reporting and Withholding for Equity Awards," one of the HOTTEST TOPICS facing attendees today! We've hand picked speakers from ServiceSource, ARIAD Pharmaceuticals and PayPal to lead an interactive discussion on what is one of the industry's most complicated and regulated areas. You will come away with a real insight into how companies are dealing with global payroll reporting and withholding challenges, best practices for meeting intense and frequent deadlines and demands, and ways to minimize some of the administrative burdens in some countries through innovative plan design and implementation methods.